I am participating in a neat event next week, World Book Night. World Book Night is a world-wide event that started in the United Kingdom last year. This year the United States and Ireland have joined forces with the UK to make this an annual celebration designed to spread a love for books and reading with teens and adults. 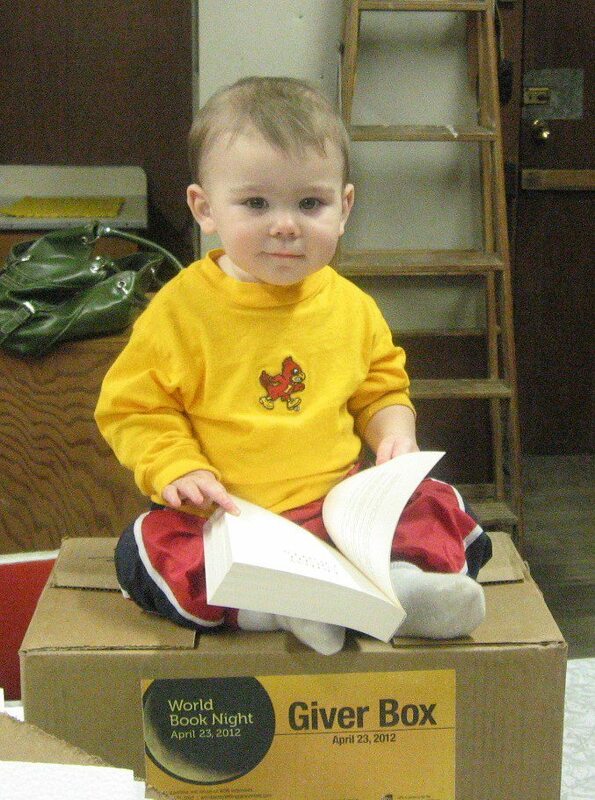 There will be a half a million books given away by 25,000 people in all fifty United States. The goal of the event is to get books to those that don't read very much, to those that don't have resources to books. There are 30 books total that are apart of the program. I have to admit, not until LP was born, I hadn't taken time to enjoy a book and just relax and read in a long time. Maybe a book on CD as I traveled with my past job, but not very often sit down and read an entire book! After LP was born I immediately feel in love with children's books and knew that I wanted reading to be an important part of his life. LP reads books daily and we go to our local library every week. I too have started to read for fun again. After all, how could I expect him to enjoy reading if he didn't see me enjoying reading. I became aware of World Book Night after I heard about it from the owner and an employee of the area kid's book, games and toys store, Cornerstone Cottage Kids. Cornerstone Cottage Kids is not only the North Iowa area coordinator, but they're also the state-wide coordinators. Pretty neat deal for a small-town kid's book, games and toys shop. Last night we had our area "pre-party" where everyone distributing books picked up their box of twenty books. This was also a time to share with other givers about their plans of where they are handing out their books, as well as the chance to trade some books to create more of a "variety box." I am giving away Friday Night Lights to my church youth group and then each member of my church youth group is giving an additional copy to one of their friends. I know when I was in high school I didn't do too much "free-time" reading, so hopefully this opportunity of receiving a brand new book will spark an interest in all of them to read. On April 30th we are having a "post-party" so I'll be sure to share about everyone's experiences then. My favorite distribution locations: an area track meet and an interstate rest stop! Can't wait to share more about the experiences and feedback.